Jessi is a NW native and comes from a strong background of horticulture and environmental sciences. Her early experience ranged in project management, from organizing restoration projects with community volunteers, to high-end residential and commercial landscape design/build. 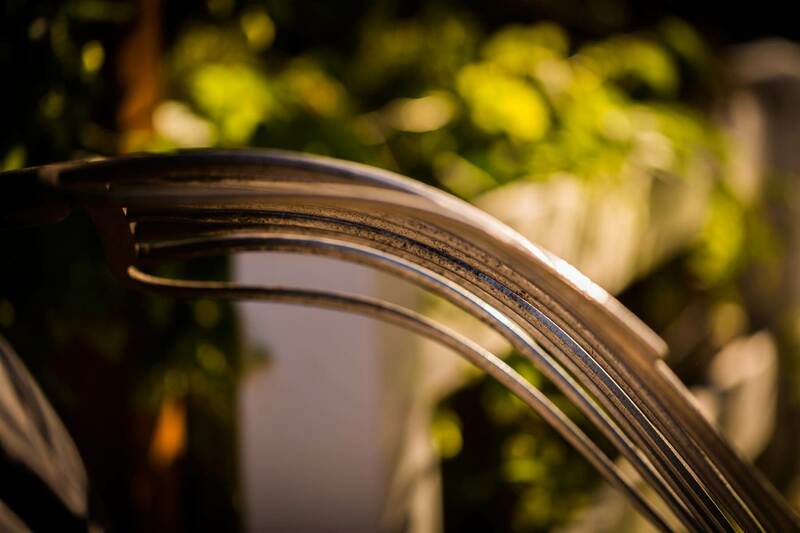 In early 2000, she decided to start an ethical business in the green industry to fill a niche for organic and ecological landscaping. Her leadership combined with her artistic design talents have brought N.W. Bloom numerous environmental awards. She is passionate about animals, permaculture and making functional gardens beautiful. She travels nationwide as a speaker and is the best-selling author of Free-Range Chicken Gardens and Practical Permaculture Design. (Timber Press 2015) and just finished her 3rd book titled Creating Sanctuary: Sacred Garden Spaces, Plant Based Medicine and Daily Practices to Achieve Happiness and Well-Being which will be released fall 2018. Jessi’s work has gotten press and been featured in many national and local media outlets from the NY Times, Better Homes & Gardens, Sunset Magazine, DISNEY, Martha Stewart Living, Mother Earth News, UTNE Reader, Fine Gardening Magazine and PBS’s Growing a Greener World TV. 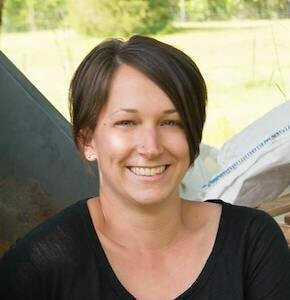 Jessi is strongly committed to volunteering in the community and sits on several advisory boards within the green industry and educational/environmental organizations; hoping to empower people, also raising industry standards, and recently helping to develop the EcoPro program for WA State. She has two boys and spends time with them around their little farm, with a handful of animals and gardens to look after. When she is not helping others with their gardens, traveling or writing, she enjoys the outdoors: snowboarding, hiking, running, biking and stays strong with Olympic weightlifting. Zac manages N.W. Bloom’s construction projects. 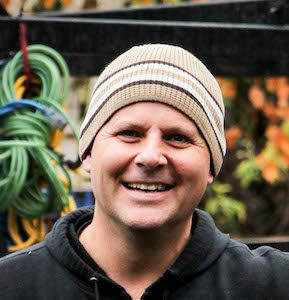 A die hard Husky, Zac got his Resource Management degree from the Washington School of Forestry and was also one of the first in the field to receive the Washington Sustainable Landscape Professional certification called EcoPRO. Always furthering his knowledge base he has also achieved the Master Pruner certification from Plant Amnesty. 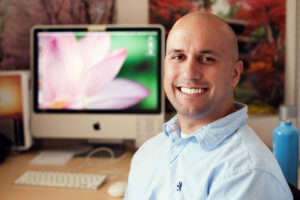 He has been with us since 2008, enjoys being outside working hard and constantly learning new things. He is passionate about his family and his job and enjoys sports, hiking, gardening, fishing, reading and spending time with his wife and kids. Jessi calls him “mud paw” – just be sure to ask him why! Heather has lived here in WA her whole life, earning a BA in Psychology from Western Washington University, then settling down with her husband and raising two kids while starting a farm. 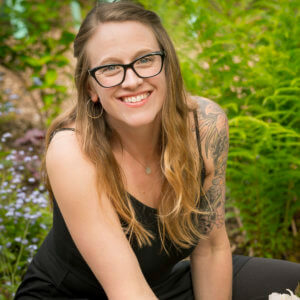 Heather is new to the team as of 2019, but excited to facilitate Community Outreach immersed in permaculture as she is pursuing her Permaculture Design Certificate. Outside of work she enjoys roller skating, having played roller derby for 8 years, and loves learning new things, gardening, raising pigs, foraging, hiking, snowboarding and teaching her daughter to ski. 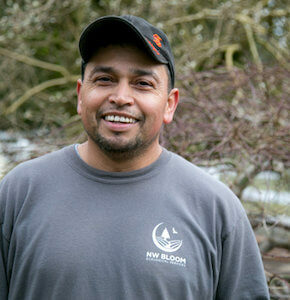 Marcos has been with the NW Bloom maintenance and installation crew through 2015. He hails from Mexico and enjoys learning landscape construction techniques. In his free time he enjoys spending time with family and friends, and playing soccer. 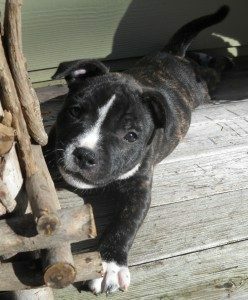 This excitable Staffy Bull Terrier pup greets guests enthusiastically when they visit the office. He is also known as the resident foot warmer and has many jobs around the farm, but his favorite job (by far) is being a snuggle bug. He loves to chase off pesky garden rodents, insects, Frisbees and his tail in his spare time. 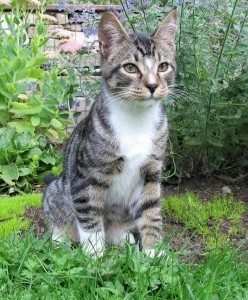 This silly tabby likes to do yoga in the lawn (we’re not kidding) and his impressive ninja skills ensure that any trespassers are surprised and well alerted to his skills – watch your legs! He keeps a watch over the farm and his mad hunting abilities keep all pest rodents in check. Rocky has a knack for herding the poultry out of gardens and can be found spending much of his time near the catmint; rolling in it, eating it, and hugging it. He always smells delicious!